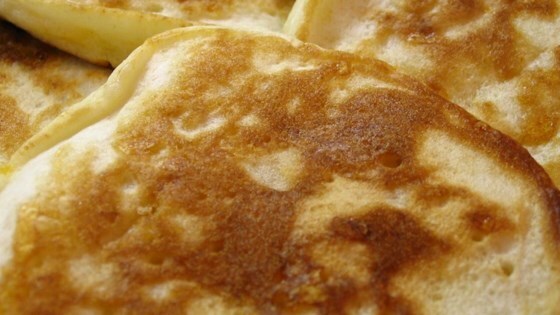 "Small pancakes with cheddar cheese. Good with maple syrup or fruit, or on their own." Mix together flour, sugar, baking powder and cheese. In a separate bowl, beat together egg, milk and oil. Stir egg mixture into flour mixture until just combined. See how easy it is to make light, fluffy pancakes from scratch.